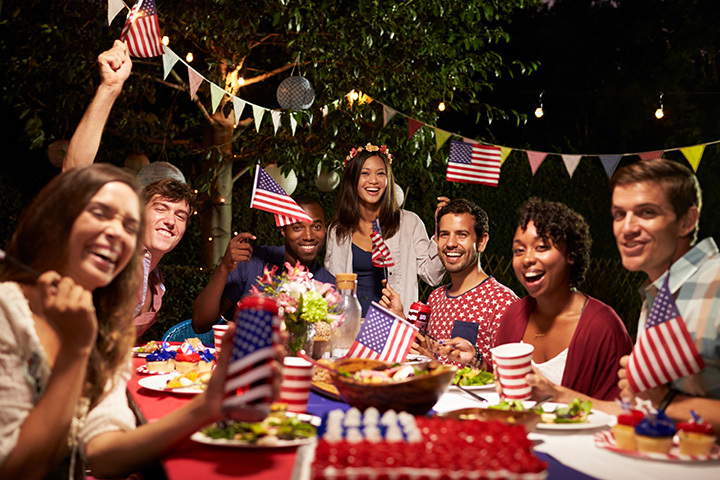 Independence Day is a time for families and friends to get together and celebrate everything that is great about living in the USA. From parades and fireworks, to deep sea fishing and hot air balloons, there's something for everyone in Mississippi on July 4. Here’s how to have the perfect Fourth of July in the Magnolia State! The Mississippi Deep Sea Fishing Rodeo is held at Jones Park in Gulfport every year during the week of July 4. Sponsored by Keesler Air Force Base, the Fishing Rodeo been a Coastal tradition for 71 years. It always features fun carnival rides, food, and music. You won't want to miss the fireworks over the Gulf of Mexico on the Fourth of July! Every year on Independence Day, residents and visitors line up along the Natchez bluffs to watch an incredible fireworks show play out over the muddy waters of the Mississippi River. The event is free to the public, so just bring a blanket and find some friends. If you're not from the area, consider staying in some of the historic B&Bs in the area, like The Burn or the Deveraux Shields House. The LOU (Lafeyette-Oxford-University) Fourth of July Celebration in Oxford is an annual event which brings together the community to support Oxford's Leap Frog Program, which teaches reading to children in need. Enjoy great food, live music, and plenty of family fun. It's all capped off with a fireworks display that you won't want to miss! Every year in Canton, visitors enjoy the Mississippi Championships Hot Air Balloon Fest. This year the event is hosted by the Canton Tourism Office and sponsored by the cities of Canton and Ridgeland as well as the Good Samaritan Center, the festival is held the weekend of or before July 4. Bring the family and be inspired as the massive balloons take to the air for the Canton Balloon Glow and Patriotic Fireworks Spectacular. Every year on the weekend of the Fourth of July, Our Lady of the Gulf holds a fun and unique Crab Fest overlooking the Gulf in Bay St. Louis. The popular festival attracts visitors from all around to enjoy regional live music, rides, over 100 craft booths, and, of course, FOOD! You'll find crabs, shrimp, gumbo, po’boys, and many more regional dishes from a variety of vendors. There's nothing more American than baseball celebrating the Fourth of July! Bring the whole family to MGM Park in Biloxi to enjoy a minor league baseball game for Independence Day! The team always has fireworks on Saturday nights after the game, so you know they have to come up with a really spectacular display for Independence Day. There will be a patriotic Fireworks Extravaganza presented by Merit Health Biloxi. The Farm Bureau Watermelon Classic 5K Run/Walk has been held in Jackson on July 4 since 1983. This certified race takes place at the Mississippi Sports Hall of Fame and is a great way to get out and active while celebrating Independence Day. There's also a One Mile Wellness Run that's open to anyone and a Tot Trot for ages three and under, and of course, plenty of watermelon! Another great way to get the family active while celebrating the Fourth of July, the Firecracker 5K & 1 Mile Fun Run is an annual race through historic downtown Greenville that's been drawing a big crowd in recent years. The proceeds benefit the Washington County Economic Alliance, so in addition to fun, you're helping to support your community! View more Mississippi July 4th Fireworks and Celebrations.